After our recent blog post on national press byline bandits we got in touch with some of the UK’s biggest-selling newspapers to find our what – if any – polices they had when it comes to crediting agency copy. It came after our recent coverage of the National Association of Press Association awards. Despite the quality of their work, few of the award-winning journalists received any recognition when their stories appeared in the national press. Only three newspapers responded – The Guardian, The Observer and The Times. A spokesperson for Guardian News & Media sent a statement saying: ‘When the Guardian & The Observer publish an agency story, wholly or more or less in verbatim, it credits the agency by name in the byline. ‘When they use a significant amount of agency content within its reporting they credit ‘staff and agency’, or sometimes ‘staff and (for example) Reuters in the byline. A spokesperson for The Times explained: ‘If we use agency copy that has not been rewritten by a staff reporter we use the byline Home Staff (the same goes for foreign – ie Foreign Staff). 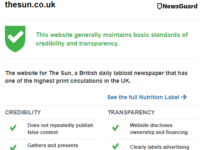 Media Standards Trust Martin director Moore Martin told Press Gazette he has long campaigned for greater transparency in the national press, particularly when it comes to acknowledging the source of a story. In February he launched churnalism.com, the website that names and shames publications that recycle press releases. 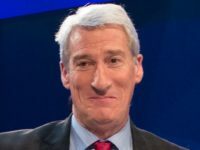 He told Press Gazette: ‘It’s not good enough for news outlets to justify copy and pasting of agency copy without attribution by saying ‘this is the way it’s always been done’. We live in a new media world. ‘Because there’s much more opportunity to be transparent people have higher expectations of transparency – especially from the press. National press byline bandits: When the first line of a story is a lie, how can we trust the rest?